Four ON/OFF outputs for the control of single or multi-stage compressors or fans. Proportional output for speed control (inverters). Output with change-over contacts for alarm control. 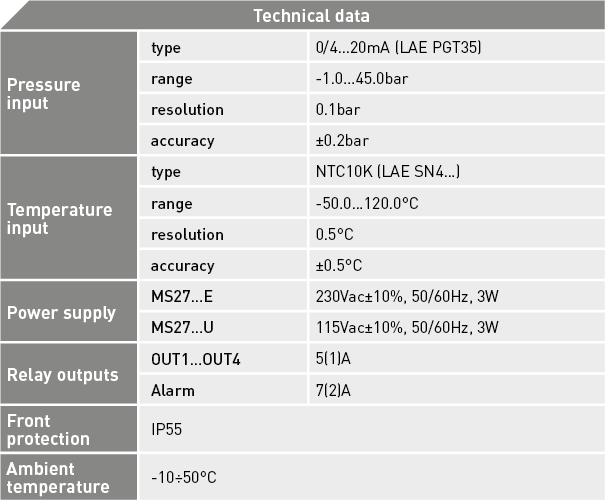 Input for pressure transmitter (0/4…20mA) or for a temperature probe (NTC10K). 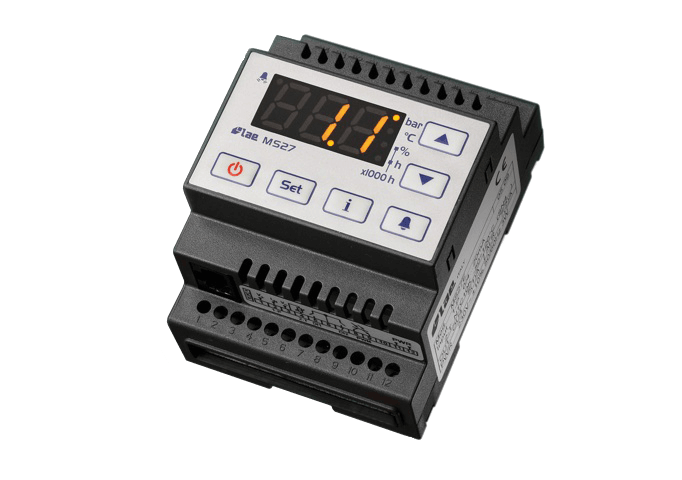 Two digital inputs on voltage free contact for programmable function, up to three digital optocoupled voltage inputs for a complete system diagnostics. Selection of the control algorithm: rotation of outputs, sequential activation, optimisation of the available power. Pressure – Temperature conversion according to gas used. Storage of the latest nine alarms. Connectivity to LAE supervisory systems. For cryogenerators in supermarkets, cold stores and all cryogenic systems with variable demand.